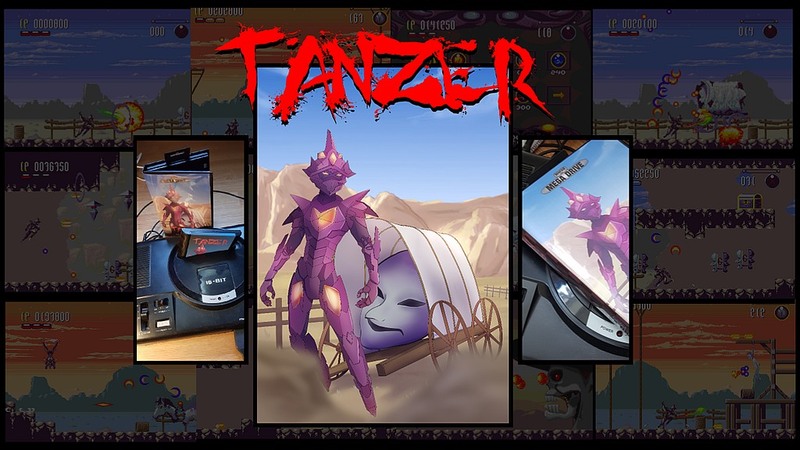 Indie Retro News: Tanzer: A new SEGA Mega Drive / Genesis Exclusive game gets a Kickstarter! Tanzer: A new SEGA Mega Drive / Genesis Exclusive game gets a Kickstarter! 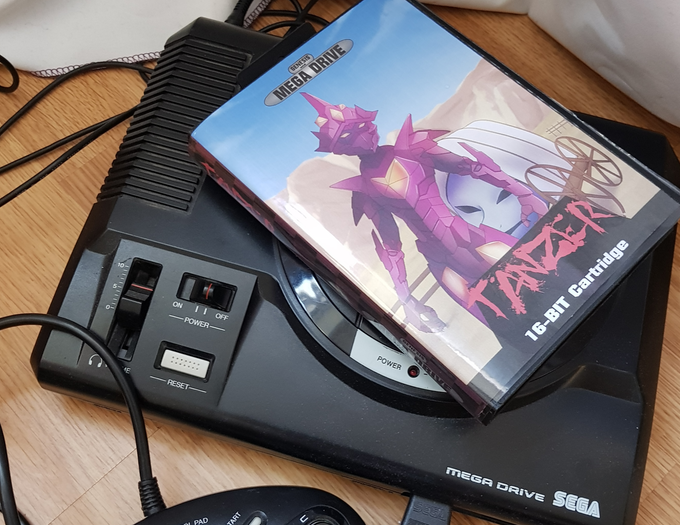 Our Twitter feed has gone a bit crazy this evening and there's a very good reason for that, as thanks to a heads up by @matteusbeus and @RetroGamingRVG we've learnt of a brand new Kickstarter for an upcoming Sega Mega Drive/Genesis Exclusive game called ' Tanzer '. Yes that's right the Sega Mega Drive is about to get a whole lot of action going on, as Mikael Tillander's horizontally scrolling, full on action hack and slash platformer maybe coming to a Sega console near you! 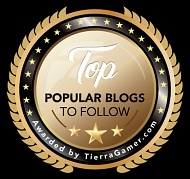 According to the description the design influences is taken from games like Strider, Osman and Hagane to artists like Keita Amemiya and Roger Dean and to anime series such as Guyver. 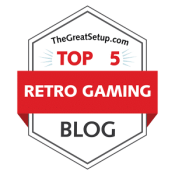 It will feature not just 8 levels with 5 sub stages per level themed like the Old West or even Ancient Rome, but there will also be sub stage bosses, end of level bosses, an in-Between Stages Shop, and even cool secrets like stages and hidden treasures. Currently the Kickstarter is looking like it will be a success, so when that happens expect a digital demo released at some point in September and a fully commercial box, cartridge and packaging for early next year, which will have inserts for the boxes in four different variants, one for each region (Japan, US, Europe and Brazil).